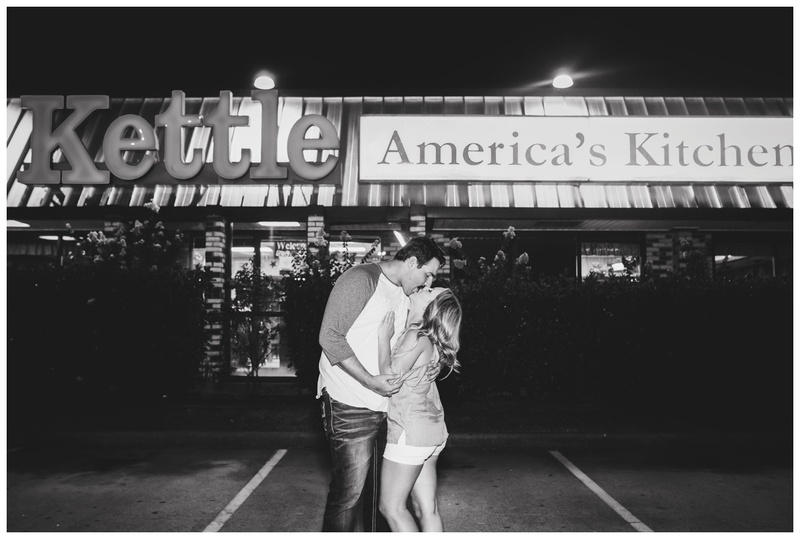 When Paul contacted me to ask if I would be available for a proposal at The Kettle…my initial reaction was HECK YEA!! If you know me at all, you probably know there is a heated debate in our home over which is better: The Kettle or IHOP. I still maintain that the Kettle is where it’s at. 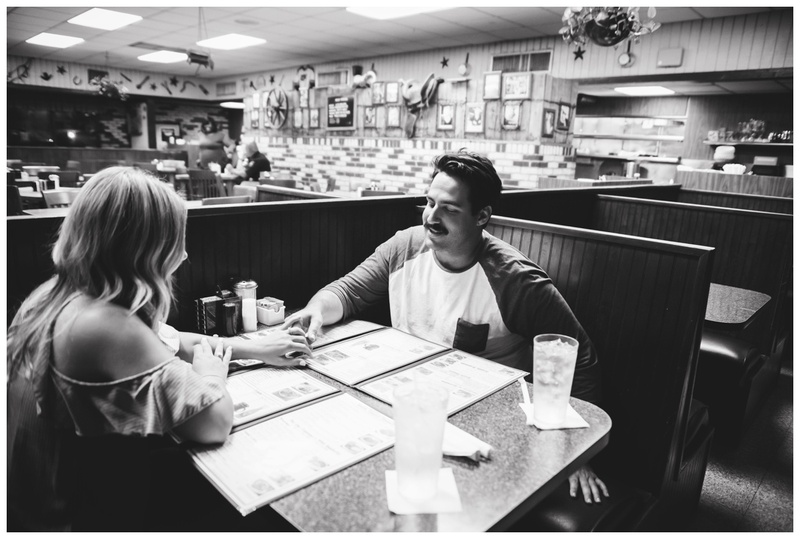 It’s the best spot to go to satisfy those late night pancake cravings, and/or bacon cheese fries (give me all the ranch!!). And while it may be a little diner, it holds many memories for me…so it will ALWAYS beat out IHOP! I immediately wrote back telling him I thought it was a fabulous idea and I was down! There was just one catch. He wanted me to be there at 2am in the morning (because lets be honest, that’s when most of us were really hittin up good ole Kettle!). They would go to Harry’s, dance the night away and end it at the Kettle where they first met. That day I took a nap to ensure I would be ready to go! And I just stayed awake, afraid I wouldn’t hear my alarm, which we all know is a very real possibility with me! I like my sleep! I stayed up, headed to the Kettle and drank my weight in coffee while I waited. Paul texted as he and Allie headed my way, and when he got there I feel like we played it off so well! I totally pretended not to know them and he did the same. They sat a few booths ahead of me and on the other side so I would have a good view. Then he texted me that he would be doing it when the drinks came out…literally 10seconds after I got the text the drinks came out! Haha! I don’t think he was expecting that! But he played it off well, and I could hear him start to tell her how much he loved her and I knew it was about to go down! I had my equipment by my side with my hand on my camera ready to pull it out, I was SO NERVOUS for him! When he pulled the ring out I started shooting! Allie you have a gem of a fiancé in Paul, and Paul she is a doll! I wish you both the absolute best of luck! 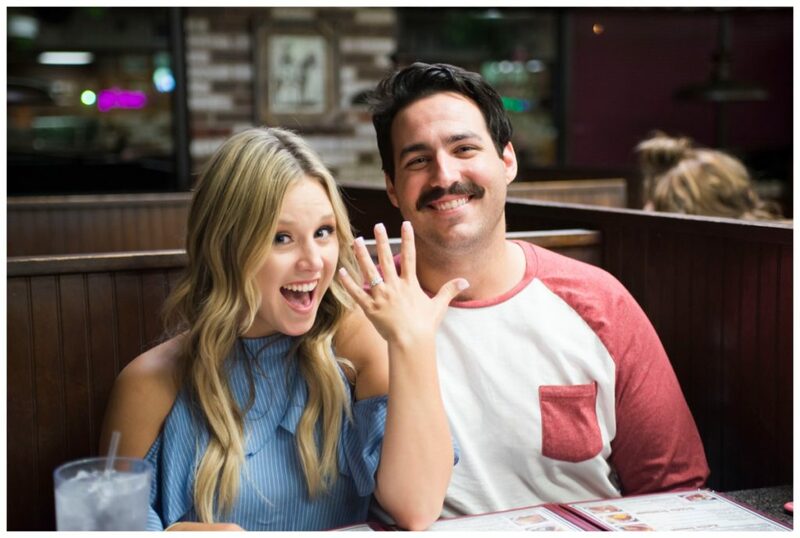 Congrats again on your engagement, and thank you for choosing me to be there for this amazing moment in your lives!